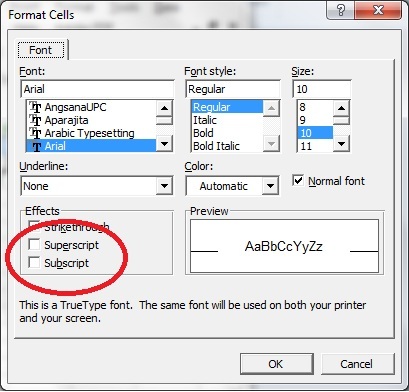 Ever wanted to add a subscript or a superscript to the contents of a cell? Excel provides a method to do just that, although it might not be intuitive to do so. 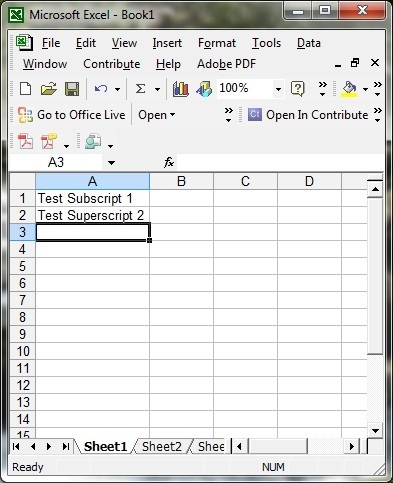 Below are the steps necessary to place a subscript or a superscript into a cell. The process is the same for both, you just select which one you want to use during the process. So let’s get started. 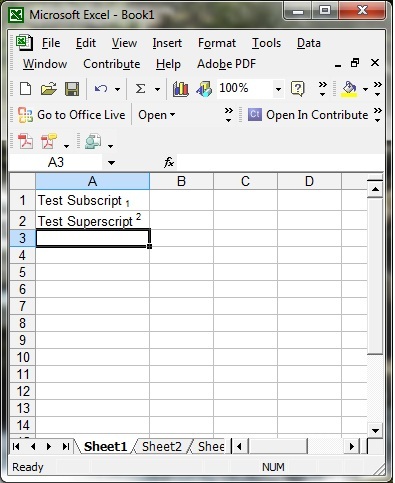 Step 1: Type the contents of you cell, including the subscript or superscript text. 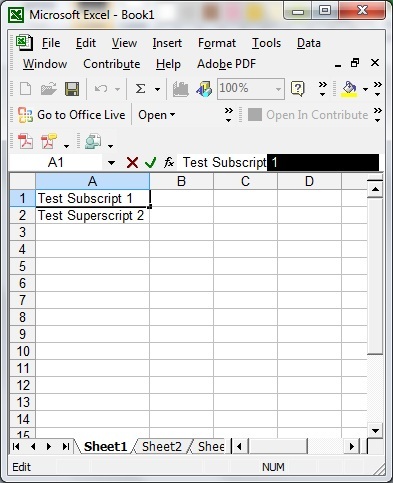 Step 2: Select the text in the formula bar that you want to make a subscript or superscript. Step 3: Right click and select “Format Cells” or go to the menu bar at the top and select “Format”–> “Cells”. Once this is selected, chose “subscript” or “superscript” and click “OK”. Step 4: Enjoy your new Subscript or Superscript. That’s it. This can also be done in VBA code but we’ll save that for another day. If you want to try it for yourself in the meantime, don’t forget you can do it by recording a macro and viewing how Excel handles it. A different option would be to take the column, get rid of your superscript, and set the superscript in a no cost floating text box (alternatives for this are to thewon’t be inside actual cell, but when printed out or what ever, it’s going to search to be suitable following to it.